You may not have to replace your roof. 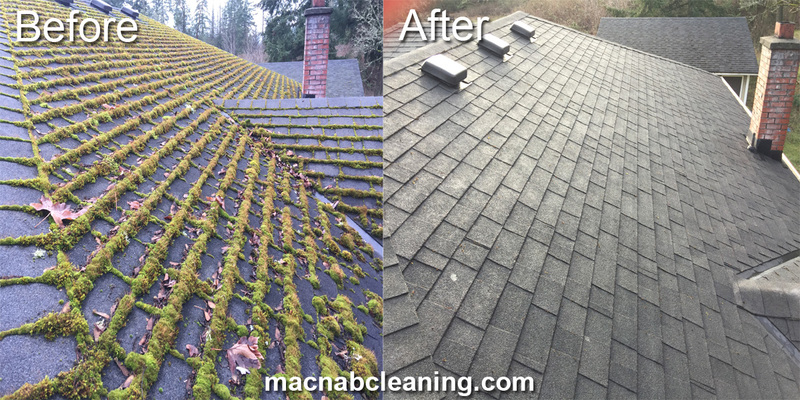 A moss treatment and cleaning might be all that you need. This not only saves you money and the hassle of a roof replacement, but also save the amount of trash from a roof replacement going into the landfill. The environmental choice is to have a cleaning if possible. This roof is proof of the difference that choice can make. What stunning difference!